Fishing with Joefish Guide Service at Pardee Lake which is located 38 miles northeast of Stockton on the Mokelumne River. Its huge complex with a clean, expansive recreation area is particularly appealing to seniors and family groups because of immaculate, shaded campsites. Fishing, boating, and camping are the primary activities. 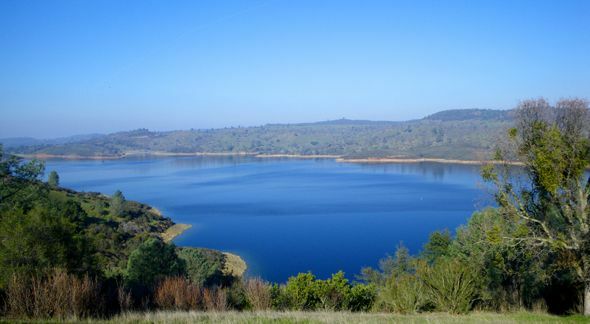 Weekly plants of trophy-size Rainbow Trout have produced an excellent cold-water fishery. This is my hometown Kokanee Salmon lake. 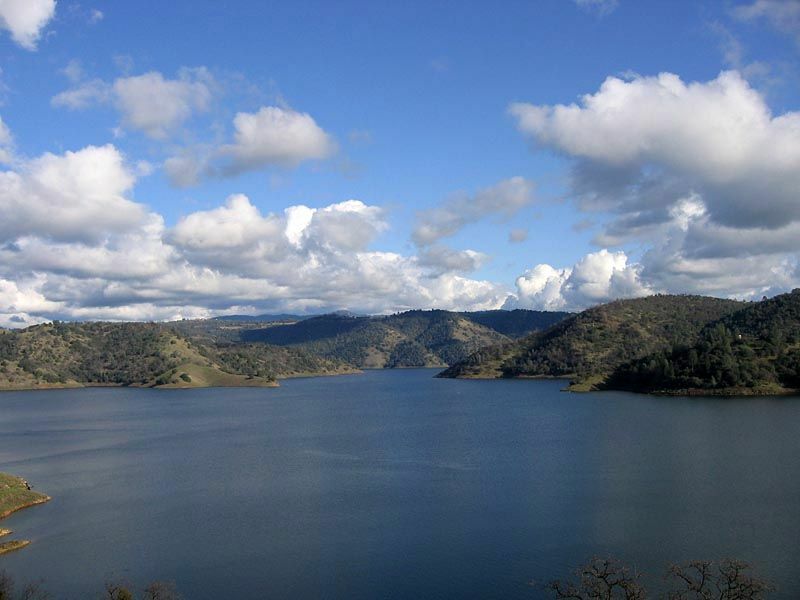 Fishing with Joefish Guide Service at New Melones which is located in the western foothills of the Sierra Nevada Mountains at an elevation of approximately 1,100 feet (330 m) above sea level. It's 100 miles of shoreline is covered with trees and brushlands. Some of California's best Kokanee fishing, with Rainbows & Brown Trout that have topped 10lbs. 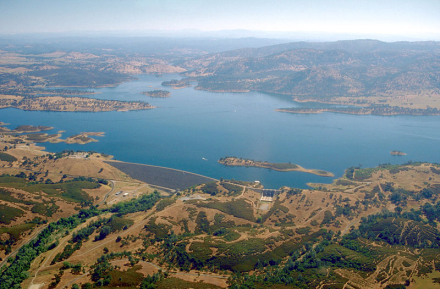 Fishing with Joefish Guide Service at New Hogan Lake which is located at an elevation of 713 feet in the Sierra Nevada foothills just 35 miles east of Stockton. 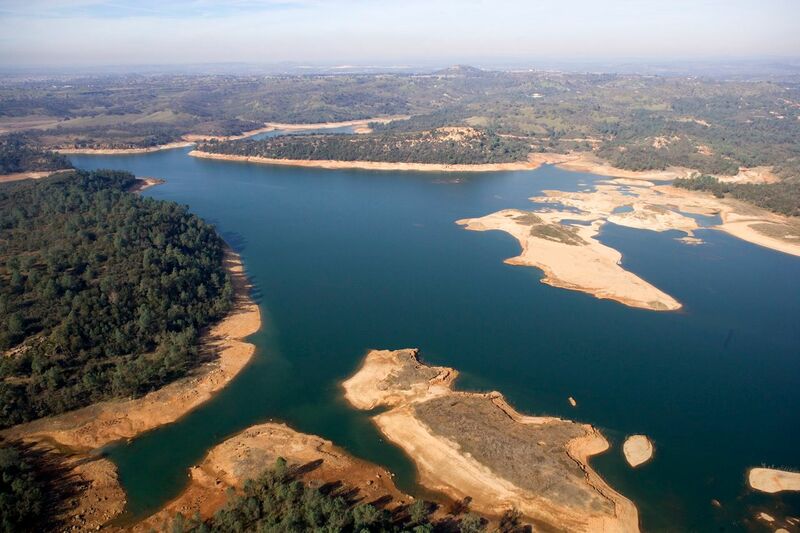 It has 4,400 surface acres and 50 miles of oak and pine covered shoreline. The lake supports a fine year-round warm-water fishery, with Striped Bass the most sought after trophy.